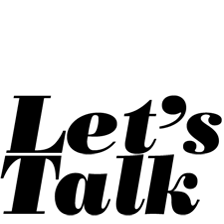 The year 2000 marks the fifth year of publication for LET’S TALK. We said from the beginning that the mission of this journal was to encourage theological reflection, writing and dialogue on issues vital to the life of the Church by publishing articles, essays, and responses authored by lay and professional members of the Metropolitan Chicago Synod, ELCA. As you read the pages of this issue, I think you will conclude with me that the mission is being fulfilled. Wayne Cowell has prepared an index of Volumes One through Four listing the contents, writers, editors, and themes published thus far. The index shows the range and variety of topics and people who have written. Their contributions have made this journal a model for synod level theological dialogue across the Church. You will also see the names of those who are serving and have served as members of the Editorial Council since 1995. They are all volunteers who have given their time and talents faithfully, tirelessly, and with distinction. Each deserves our recognition and thanks. In each issue of the journal you are reminded that LET’S TALK relies on the voluntary contributions of individuals and institutions to cover publication costs, and that editorial operations are independent of the Synod and the ELCA. To publish four issues per year costs between $3200 – $4000. In the first and second year of publication, we received generous one-time contributions from The Aigner Foundation and Aid Association for Lutherans. Bishop Kenneth Olsen has given an annual contribution along with Cone – Kalb – Wonderlick, P.C. and the Ecumenical Affairs Committee of the Synod. The balance of our operating budget comes via individual contributions from readers like you. We need your financial support to continue publishing this journal, and to expand and develop LET’S TALK in the future. We have titled this issue OMNIUM GATHERUM (with a tip of the hat to the section of Forum Letter using that heading also) and included contributions from here and there: a joint address, a letter and a response, reflections on this journal and a view from Augsburg, notices of forthcoming conferences, each contributing to our ongoing conversation on issues vital to the life and mission of the Church. In addition, this issue serves as our annual report to the Synod per our constitution. Frank Senn and Scott Hebden share their joint address on the significance and implications of the Joint Declaration on the Doctrine of Justification given at Immanuel Lutheran Church (Elmdale), Chicago on October 31, 1999 following Ecumenical Vespers with Bishop Olsen and Francis Cardinal George. Randall Lee follows with an eyewitness account and his reflections on the JDDJ signing in Augsburg, Germany on Reformation Day, 1999. Gerhard Forde and James Nestigen tell us that ecumenical decisions by the ELCA continue to generate protest and dissent within the ELCA, as evidenced by their open letter to congregations which we are republishing. 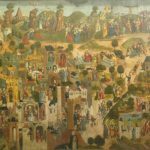 Wayne Cowell offers a critique of the open letter, hoping that Forde and Nestigen might make a serious proposal for a confessional congress, one that would involve the give-and-take of real dialogue. Finally, Randall Lee offers his personal reflections on this journal. He is one of the original five that met following our initial conversation at Synod Assembly in June 1995. In July we gathered 10 more willing souls and launched LET’S TALK. As Randy leaves the Editorial Council, I am grateful for his willing “yes” to my “let’s talk” query about launching a theological journal in, but not of, our Synod, and, for his many written contributions and words of support and encouragement along the way. Blessings and peace, Randy, as you go! And a mighty big thanks, too! Now let’s Read on! Respond! Let’s Talk!